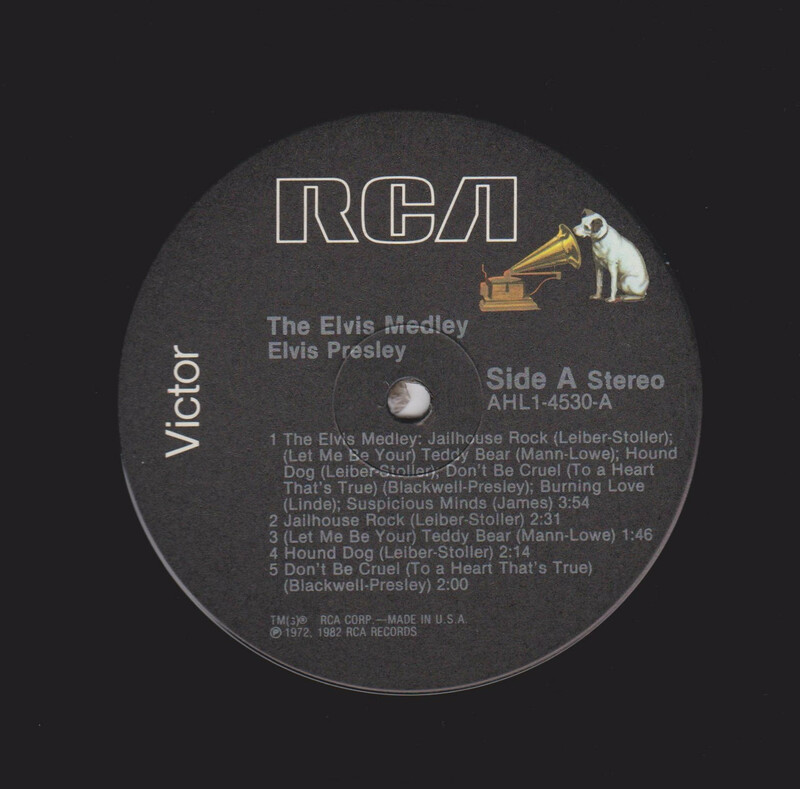 In the wake of the chart-topping success of the Stars on 45 single "Medley," and made up mostly of soundalike versions of Beatles songs strung together, there was a brief fad for taking actual recordings by popular performers and editing them into a studio-created medley. 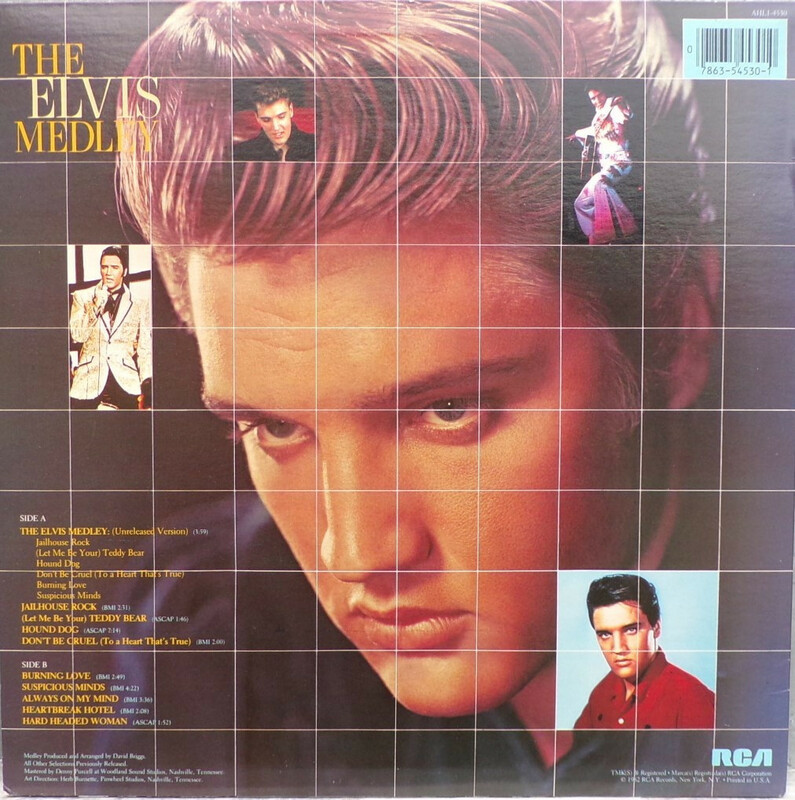 "The Elvis Medley," which combined excerpts from "Jailhouse Rock," "Teddy Bear," "Hound Dog," "Don't Be Cruel," and "Suspicious Minds" into four minutes with a disco beat added, became a chart entry in November 1982, along with this album, which featured the medley and the full-length versions of the included songs, plus the single's B-side, "Always on My Mind," and two other old hits, "Heartbreak Hotel" and "Hard Headed Woman." Presto! New product. 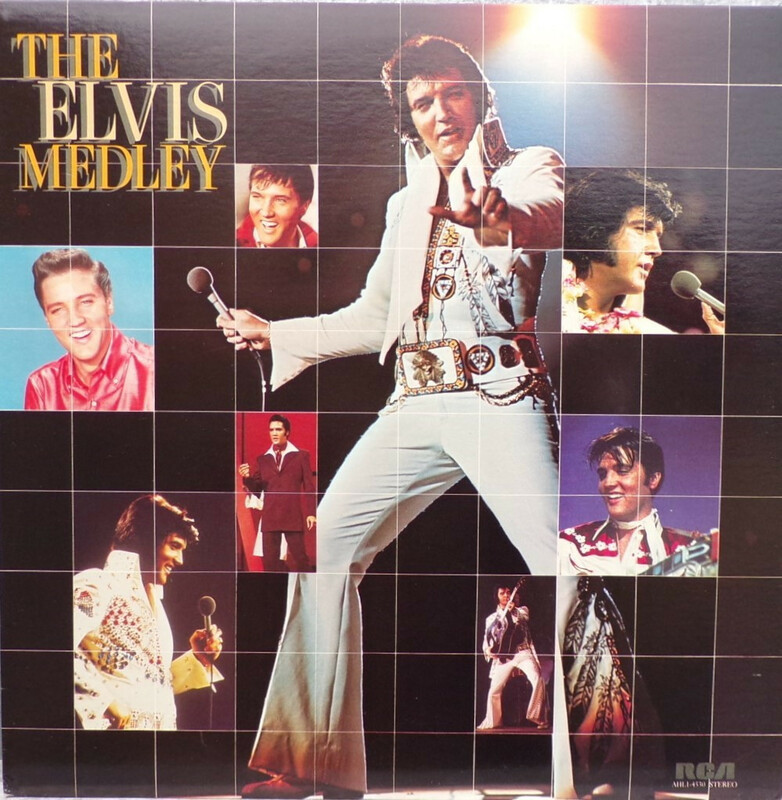 Front Cover : 8 Photos of Elvis. Title top right. Catalogue number bottom right. 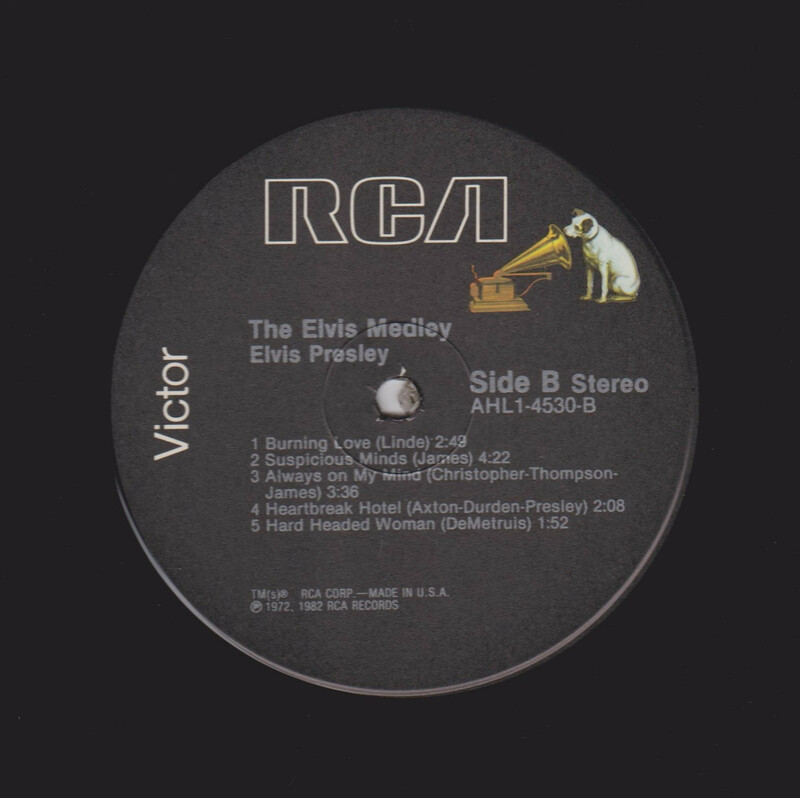 Rear Cover : 5 Photos of Elvis. Song titles bottom left. Catalogue number top right. Printed in U.S.A. bottom right.